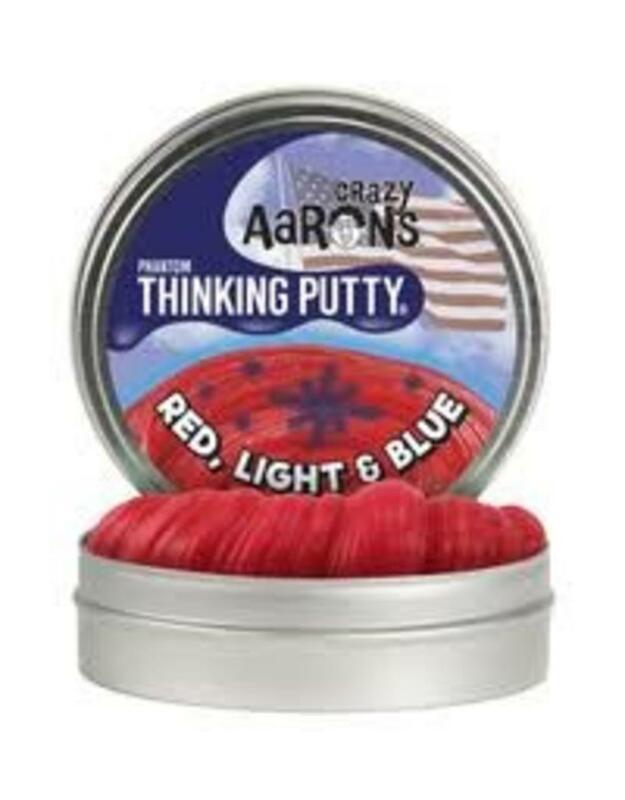 Red, Light and Blue is a shimmery glitter Thinking Putty that reveals its true colors with the included Glow Chrager. In a flash, it becomes dark blue with an eerie glowing edge. Hold the Glow Charger close to the putty to draw a dark line, and move it farther away for a blurry line.